I needed a battery for my 72 142 so I decided to give this battery a try. It is 6" wide, 6" tall. 3" wide and weighs on 15lbs. . It can be mounted any way you wish and comes with set up for top or side post. It has 425 cold cranking amps. I haven't had it for a long time but it cranks better than the 45lb+ battery it replaced. And it has cranked for a long time a couple times when I flooded my motor or some other no start condition. It looks so tiny setting in the battery box but its going in the trunk before long. The battery is half the size of a Optima and half the price. I am very happy with it so far. Interesting. I'm looking for a smaller battery as well, keep us posted on how it continues. Good info Harry! Long time no see BTW, hope you're doing well. Just like an old Volvo I keep coming back. After getting screwed over on my stroker motor by a machinist I trusted, I have put together a 2130 motor that runs great except for steel timing gear noise. Of course I am looking for a B 20 block to assemble my stroker motor once again. I am getting my 142 together to challenge your dominance at the shows. After battling health issues and car issues I can see the light at the end of the tunnel. The only issue I ever had with it was when it went flat over one of my longer (6 month?) engine rebuilds, it didn't ever come back from that very well, I had to replace it. Certainly cranked the car over well enough in regular weather. I always parked it in the winter to keep it out of the salt, so no cold weather cranking. I guess in size/weight it's a little close to the first Braille listed in the top post. Same thing there, no real issues with it to speak of. It just works like a normal battery. These are jsut a fair amount cheaper. I think this was the actual one that i used. I used the ~11lb braille, no real issues with it, but you need a reliable starting car. If you have some issue that needs troubleshooting and a lot of cranking while on the side of the road...you might run out of tries. I also used a PC680 briefly, only rated about 220CCA I believe. Worked in the summer. I got it free, 2-3yr old, and it did fine for my needs but I think I swapped a big battery back in for winter. 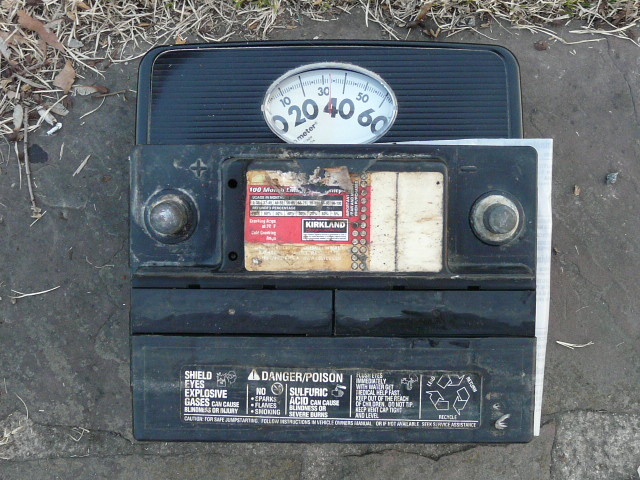 Autocross weight savings was the goal. 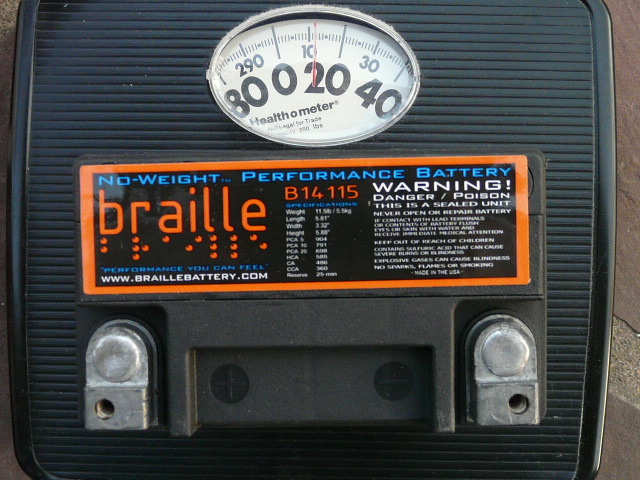 I would look at East Penn / Deka branded batteries before buying another Braille for the premium price. I've had an Odyssey pc680 for maybe 8 months and it's been great. Cranked my car up two days ago after 3-4 months of sitting, although it was tired. I need to start driving it every day again to see how it does through the winter. I've been using the same Odyssey PC680 for a few years now. I used to take it indoors in the winter but don't bother anymore. I throw a tender on it once it goes into winter storage. Performing flawlessly, I've started the car in temps down to 5*F with no problem. I think I paid like $105 for it so even when it fails it's short money. It's a pretty significant weight and cost savings over running a battery to the trunk. edit: I'll echo Towery's comment that there's not a ton of reserve, so if you get into a situation where you need to crank away on the thing you gotta make the most of your attempts. Last edited by Stiggy Pop; 01-08-2019 at 01:05 PM..